There was no bumping into Nicole Kidman, also holidaying at the Kempinski Hotel Aqaba, Jordan. But my mother and I could peer down at Nic’s Royal Suite. The Kempinski hotel group has invested big time in Jordan with two hot hip hotels – its Aqaba property on the Red Sea and the Kempinski Hotel Ishtar Dead Sea, inland on the large salty lake of the Dead Sea. Both offer travelers a seaside resort experience near two of Jordan’s top attractions. Aqaba is only an hour away from the red sand dunes of the Wadi Rum desert (Lawrence of Arabia’s stomping grounds). 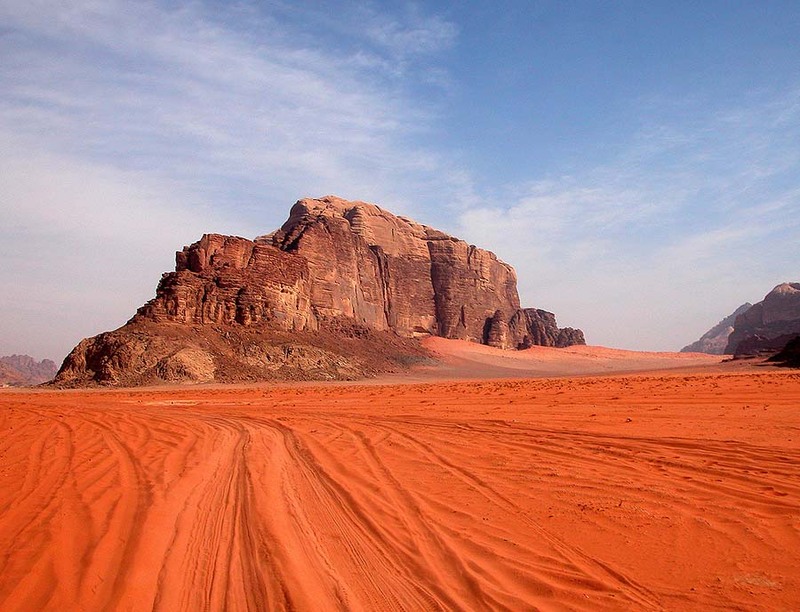 Perhaps ride a camel in the desert, or take a jeep tour with a local Bedouin guide? And over at the Kempinski Hotel Ishtar, slathering thick black mud over your body, then soaking up the minerals while floating effortlessly in the Dead Sea, is said to ease rheumatic pain and be good for your skin (though the mud caused a rash on Janice’s skin). Then there’s the UNESCO World Heritage Site of Petra. Carved from rose-red rocks, the ancient Nabatean city is one of the world’s most stupendous archaeological sites. Have you been to Jordan? What did you enjoy the most? Sounds like a great trip! Have not yet made it to Jordan but I’ve only ever heard fabulous things about the country – would love to get my mud bath on in the dead sea! Lovely photos! I had SUCH a great time in Jordan, and because I was pregnant, I was a natural buoy in the Dead Sea. I was also pleasantly surprised at the digs in Aqaba….we stayed at the Hilton, which was the swankiest hotel we stayed in Jordan. Love the picture of Janice and her mom: so hip and poster worthy!